An innovative new estate agency that aims to transform the way people sell their homes in south Wales has launched this week. Capsel Homes combines the great customer service of a traditional high street agency with the best elements of modern, online estate agents to give people the chance to sell their home, their way. 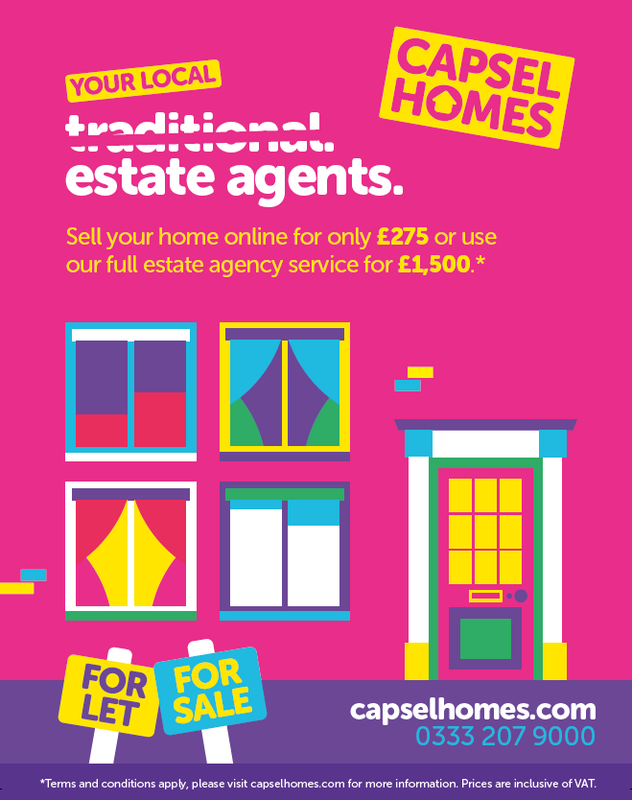 With over 90% of property searches starting online, Capsel Homes offers people the chance to manage the sale themselves and get their home listed on Rightmove, social media and the Capsel Homes website for just £275 including VAT. Sellers can then add optional extras – from photography to accompanied viewings. Alternatively, Capsel Homes offers a full estate agency service for just £1,500 including VAT that covers all areas of the selling process – from arranging accompanied house viewings to sales progression. Capsel Homes also offers a range of affordable lettings services. Capsel Homes is part of Monmouthshire Housing Association (MHA) and all profits from Capsel Homes go towards building new affordable homes in south Wales – so people get to save money and give back to their community.